We offer quality repair and competitive prices for all of your exhaust system and muffler repair needs. Make sure to stop by our 585 Main Street location for an inspection, as a damaged exhaust can hurt both your car and the environment. 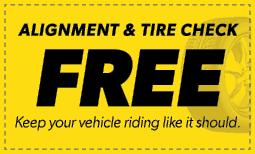 When you need brake repair, brake pad replacement, or even a total brake job, our local Monroe, CT Meineke is there to help you with everything you need to drive (and stop) safely. The people at this Meineke were very helpful. Stopped in with out an appointment for a exhaust leaked. Chantel took all my information and Doug the owner showed me what was broken. They cleared my check engine light. Had to call when it came on when I got towards home. Called and Doug asked me to bring it back in early Saturday morning. They told me what the new codes were and replaced the sensors. I'm grateful for the fantastic service I have received. I can tell for sure the ( DOUG I believe the manager) wase very accommodating, top notch professional,hard worker. Very pleased Tank you, I will recommend to hall my friend and family to try Meineke, Monroe ct.